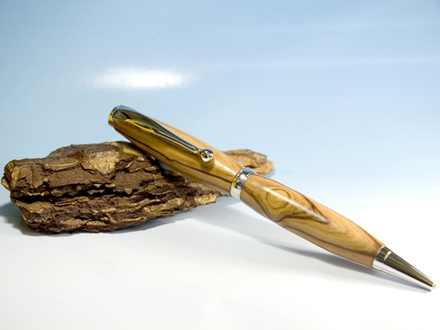 well managed to get some time in the cabin last thursday and knocked out a few pens and keyrings. 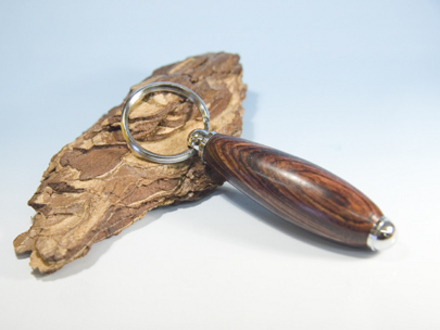 Having understood about the toxicity of some exotic wood and few native ones for that matter i still love turning them, however by Friday after turning a cocobola keyring my inner arm joints are itching like mad, as is my nose, ears chest and stomach, and my left eye is slightly swollen, i need to wear protection when turning this particular wood, lesson learnt. However i managed a fairly good day on the whole and i would like to share some the pics with you if i may. hope it wont be too long before the itching goes away and i can return to normal instead of looking like a demented idiot. Hi stevebuk ur items look really lovely,in partucilar the purple keyring holder,bit of skilled work there thanks for sharing them with us.Hope itching gets better!!!! I think the purple one is very attractive. Hope you're recovering after all your work. you are very naughty, you should always wear a face mask and goggles. your health is far too important. The acrllic stuff is nasty too. Thank you ladies, i have now learnt my lesson and will be using a face mask in future, although i wont turn cocobola again. Layout of the NEW site..